Dual Wielding: is it dead yet? Make sure to check out Ironweakness’ take on the subject. Introduction- did that just happen? When Ironweakness and i decided to pick our Dual Wielding series back up, we also decided for two topics, to be published on a monthly basis. The last one has been about Negativity in the MMORPG community and this one was to be an outlook on the genre. We figured it might be a good time for that post, so shortly after the release of Black Desert Online and The Division (as well as the Thieves Guild DLC). Little did we know what was bound to happen last friday- namely the cancellation of Everquest Next and layoffs at Carbine. Since these news broke, the question whether the MMORPG genre is dead has been tackled countless times, by bloggers as well as MMORPG-related Outlets and even general gaming sites. I’d like to be brief here, because this post is about looking ahead, not at the past. I’d like to say, however, that both news didn’t come as much of a surprise, i guess, to people who were watching these games closely. We haven’t heard anything from EQ Next since what seems like forever, Landmark hasn’t seen significant developement during that time, either, and Wildstar clearly failed to get much attention, players and most of all money following the shift to free-to-play. Here’s what i think both of these news have in common and give a little hint at what’s coming next: the WoW days are finally behind us, and i do think this is a great thing. Wildstar is basically “WoW in space”, and that’s not just relating to the art style. Sure, it has more features, but the whole thing is still very close to the WoW generation of MMORPGs. Everquest Next, as it was envisioned, was to be an evolution of the same thing- it still took the WoW-style MMORPG as a blueprint for what they thought should be improved in the genre- and furthermore, they took a Triple-A approach to that whole thing. The MMORPG genre chased WoW numbers for 12 years now and threw evergrowing budget at their games. The idea was, of course, to build something “mainstream” enough to make the success of World of Warcraft repeat itself. While it was clear quite early on that simply copying World of Warcraft wasn’t enough, the thought that it might only take a few iterations on the concept lingered in the newer games of the genre. All the while one thing has been mentioned but didn’t find consideration in game design: WoW was also that big of a success because the basic feature of MMORPGs- laying with hundreds/thousands of other players- was quite new at that time. That feature alone was enough to inspire awe in players. But with years gone by, contacting other people through the web has become normal- and we, the players, found ourselves isolated more and more, choosing to play with friends or people we already knew instead of with strangers from the web. We all know now that throwing money after that problem doesn’t work, either. And we’ll be better off for it going forward. Playing alone together still is interesting and unique enough, but one has to see there still are technical limitations to what developers can do if they design a game around thousands of players playing at the same time- gameplay-wise, few if any MMORPGs are very compelling and i know for a fact that on the one general gaming site i read (Rock Paper Shotgun, you should, too! 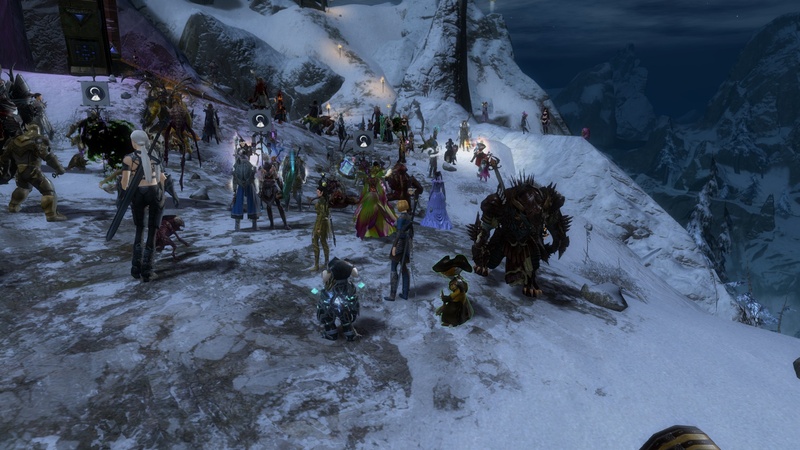 ), players and authors alike pity MMORPG players because of the games’ repetetive, grindy and boring gameplay. So it seems unlikely that the normal, persistent, shared world MMORPG would be able to gather the masses for quite some time. Investing here really was and is throwing good money after bad. But designers came up with a solution. The Crew, Destiny and The Division are three games where you’ll find MMO elements as well as a semi-persistent world combined with a single player or simple multiplayer game. These games incorporate most of the “mainstream” elements of MMORPGs while offering a different kind of gameplay. Think about it: there are hubs where you see other players (the “alone together” part of open world MMORPG play), you can also join a few friends and tackle content together (similar to going into MMOs with your friends or doing some guild activities) and even grouping up with random players (just as you’d do with Dungeon Finders and the like). These games are basically an essence of what MMORPGs have become, but they shed a few shackles that put them in gameplay or feature-constraints. When you think about it- maybe ArenaNet did it the wrong way around- releasing the hub-centric semi-MMO Guild Wars in a time when persistent, shared worlds were popular and then releasing Guild Wars 2 in a time where, maybe, stronger gameplay and storytelling would have won them the day. There’s also Elite Dangerous and the upcoming Shroud of the Avatar, Shards Online and all these survival games where you can rent/create your own server where it’s possible to play the same game either totally alone, with friends or in a shared environment. While these are a different sort of game than the titles i mentioned earlier, they all give the option to scale the “Massively” part to comfort. We have only seen early entries here and i think this is where you’d need to look in the future if Triple-A MMO-ish design is what you’re looking for. We should all be happy, because the “mainstream” will go in that direction and there will be huge hits releasing in that “semi MMO” genre. Welcome back into my MMO, RPG! On the other site of the fence we have “classic” MMORPGs- but fans of persistent, virtual, shared worlds can be happy about the demise of the triple-A MMORPG, as well, because now, the masses are chased elsewhere. We’ll be getting more niche products more fitting to our respective playstyles- think about Shroud of the Avatar, Shards Online, Camelot Unchained, the Repopulation, Crowfall and others. They mark the return of the classical western MMORPG. I have to cite something here, because i think this is spot-on. The very problem was using AAAs as a measure of stability, success, and fun. AAAs broke us. Why be sad when they pack up their tents and move on? Clearly the core MMO playerbase will still be catered to; it’ll just look more like the early 2000s than like 2012. We’ll continue to get new MMORPGs, and if the current crop doesn’t meet your preferences, chances are the next wave will, because for once, after 10 years, we’ll be getting games that do something new or concentrate on a particular part that made MMORPGs great in the first place. Then again, if you want Triple-A MMORPGs, they are still going to come, but from the east instead of the west. And, to be frank, they always have. I think Lineage might just be the MMORPG that’s “really” the most successful- released in 1997, i think, it’s still the best earner for NC Soft in Korea. 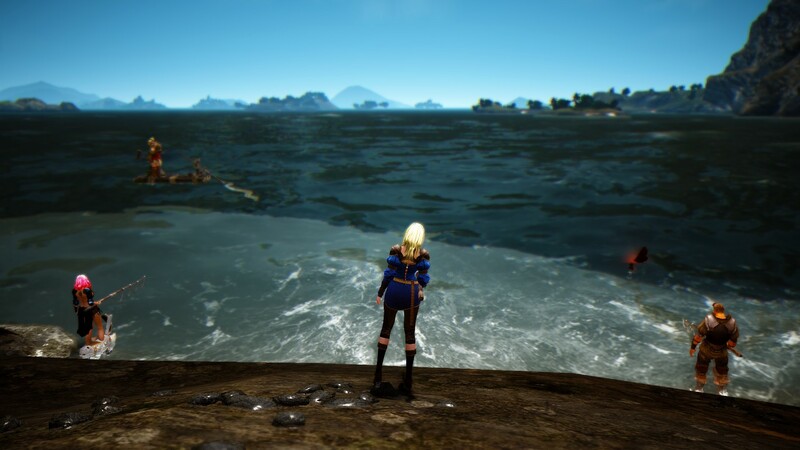 Black Desert Online shows how the next iteration of a shared, persistent, “alone together” world looks like, there’ll probably be others. As you can see, i’m really looking forward to future developements in the genre- all in all, it seems to me that it has matured and evolved into more specialized subgenres- we have MOBAs, the semi-MMOs like Destiny, we have Survival games and we have the classic MMORPG, and i probably missed something along the way. All these subgenres will provide players with different parts of what makes MMOs great, with different amounts of “massively” in their multiplayer options. The classic MMORPG will return to its genre-bending roots while also being specialized. In the coming years, we’ll be better off and happier with what’s out there. If we like the current crop (as i do- i love Elder Scrolls Online), we’ll be happy to, again, stay with the titles we love for the longer term instead of always wanting to check out the new shiny. If we were unhappy, the next generation will provide more specialized experiences. And if we liked parts of what MMORPGs offered as a whole but disliked other parts, there will be games offering that, as well. I wanted to touch on more than that- the shift in business model (buy-to-play is becoming the norm) and design (MMORPGs can’t afford putting the fun behind a grindwall anymore), but i’ve gone on rambling long enough (and really need to pack). I might get on these other topics another time, but in essence, i view both of these as getting better now, as well. We’re not in our last moments here, we’re entering a new era in our genre and should be excited for it!